As a hobby, ethnobotany is my life's passion. Each and every human culture on this planet has a plant or collection of which they imbibe to alter their brain state for the purpose of celebration, vision, healing, etc. For over a decade I've participated in various ceremonies, listened to the stories of elders and apprenticed to some degree with healers in North America, South America, Polynesia and Southeast Asia. At the University of Otago, nestled in the deep south of New Zealand, I studied Indigenous Development for over three years with a focus upon the Micronesian, Melanesian and Polynesian peoples. It was there I obtained the tools necessary to make worthwhile my work with these elders and healers. The ancient healing traditions of the world are dying out as their culture, language and way of life fades into the agglomerated mess of humanity. As village children witness the developed world upon their mobile phones and televisions, their interest in tribal practices wane for the want of our clothing, technology, music, language, employment, money, academics etc. The teachers, grandfather and grandmother healers are without apprentices for there are few to none in the village willing or wanting to embark upon the treacherous path that is the study of plant medicine. Their traditions and techniques, honed by millennia of experience, possess a healing power unrivaled within Western medicine. A holistic approach is taken, balancing the physical with the metaphysical and balancing science with spirituality. Addiction, anxiety, depression, hyperactivity; treated successfully with prayer, plants and power. 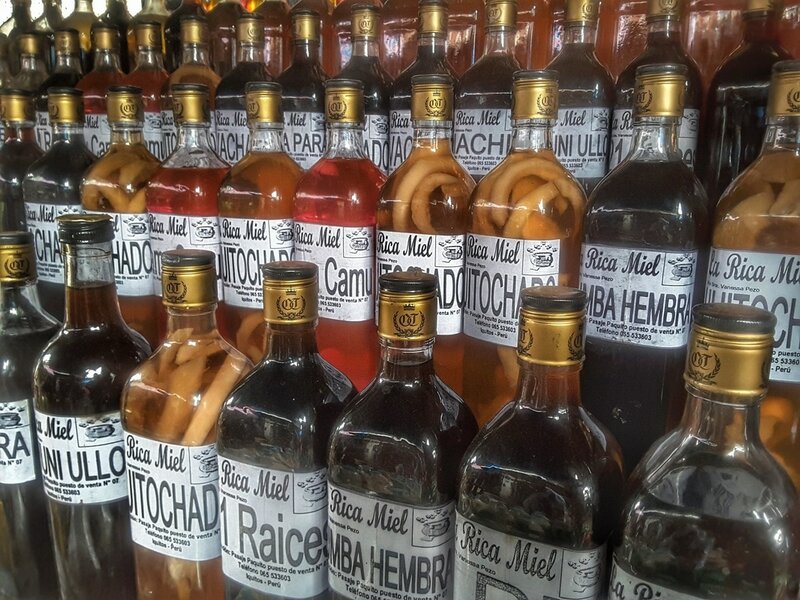 It's not often, these days, to find a healer who is actually able to make good of his or her practice; this is especially true in the Peruvian Amazon where psychedelic tourism, with ayahuasca, is growing uncontrollably. Many of the masters today are merely opportunists attempting to commodify their culture and sacred medicines. 74 year-old “Abuelo” who began his apprenticeship as a healer 55-years prior at 19 years of age within the tradition of his bloodline, the Shipibo-Conibo people. After working with him for approximately a week in his village, I witnessed the healing of a child less than a year old suffering from a lack of appetite, sore throat, nasal congestion, diarrhea and vomiting. As esoteric as it may sound, he healed by singing songs over the child, waving a rattle made of sweet basil leaves, blowing tobacco smoke on and around the bub as well as anointing him with a flower-water perfume. In less than three days, the wee bub was healed. After witnessing such, seemingly, miraculous healing I inquired as to if I may become his apprentice; a few moments later I was instructed that I must spend a total of 8-months studying with him. I this time I would learn the ways in which various Amazonian plants are used in healing, how to imbibe others for visions and the ability learn the language in which to communicate with the plant spirit world. All this work is to take place in his village, situated over a days travel into the remote Amazon jungle. To this end, I desire to pen a book which describes my experience as a shaman’s apprentice while living as a villager, a family member. The intended written word will likely be filled with other-worldly pictures, dire moments and delirious visions.